One of my major interests is the illustration of fish and other sea animals as depicted in the 15th to the 18th centuries. Authors of natural history encyclopaedias include Gesner, Aldrovandi, Lycosthenes, Rondolet and Renard, and while they used the best illustrators available to them at the time, often the artist was drawing the animal from a very decayed specimen, or relying on a description from someone who may have seen the living animal, or they simply fell back on to using their imagination. Consequently many fish drawn in the 16th century are recognisable today, while others are delightful fantasies in both colour and form. An example is this illustration of whales from Conrad Lycosthenes' Prodigiorum ac Ostentorum Chronicon... published in 1557, a chronological history of the known world from the Garden of Eden, through the birth of Christ, to the year of publication. This is a detail from a two page spread depicting the terrors of the seas. I'm no artist, but I do enjoy having a go at redrawing some of the more fanciful marine life and I'll probably put some on this site when I get a bit more courage. 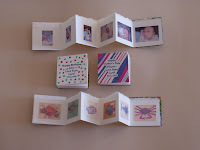 I made some tiny books during 2006 with photos of baby Sophia for family members and some of my drawings for friends . Oh Carol, I'm just loving your work! I'm so happy that you found me, so that I could find you too! Your little books are precious. p.s. hope you don't mind that I've added your blog to my list of favorites. Judy, I was the idiot who accidentally deleted a comment and left that message but now I know what to do (I hope). Thank you for your encouragement, and of course I don't mind that you've added my blog to your favourites. Wendy, I have this book and many others in my collection of marine life. I'll do a post on some of my favourites, you may be familiar with them. I did have my Shelfari site on this blog but removed it because so many of the books came up without titles. Not sure how to overcome that so I got rid of it but it's a shame because I'd put quite a lot of work into getting the titles on, especially the natural history ones. Hi Carol, I found your blog through the bookarts yahoo group. I'm really looking forward to seeing those drawings of yours! 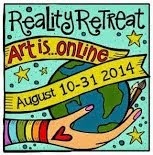 I'll be back to visit again - great blog! Your blog is great, I'll make sure to pass on your link to my Dallas foreclosures friends.